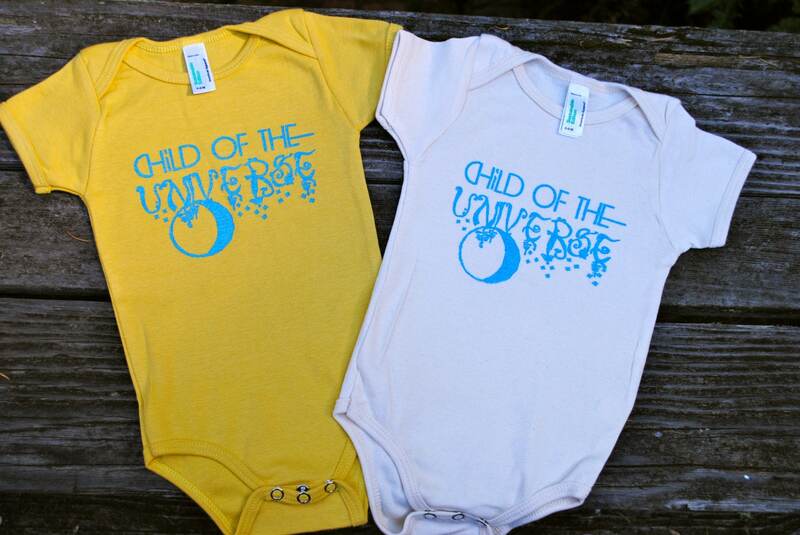 They are printed using water soluble, eco-friendly inks on American Apparel 100% Organic cotton bodysuit. American Apparel is made in USA and sweat-shop free. Galaxy Blue with white print.